Paris has been a thriving metropolis and a center of intellectual and artistic achievement for centuries. The city's roots reach to the third century B.C., and cultural influences as diverse as Celtic, Roman, Scandinavian, and English are woven into the city's rich heritage. It's a history that is far too long and complex to easily summarize, but here's a brief account of key events and facts. 3rd century B.C. : The area around L'Ile de la Cité and the fertile banks of the Seine River is settled by a tribe of Celtic fishermen, the Parisii. The settlement is named Lutetia. 52 B.C. : The Roman Empire under Julius Caesar seizes the city, which becomes part of the Roman territory known as Gaul. Around 250 A.D.: Lutetia is Christianized. The first churches are built. 4th-9th centuries: Frankish and Norman invasions. Clovis I pronounces the kingdom of Gaul and renames Lutetia Paris. 1163: Construction of the Notre Dame Cathedral begins. It would take almost two centuries and hundreds of laborers to complete this masterpiece of early gothic architecture. 12th and 13th century: Other important monuments and sites are built, including the Sorbonne and the Sainte-Chapelle cathedral. The swamp (Marais) on the right bank of the Seine is drained and the city expands north of the Seine. Around 1200, construction of a fortress that includes the Louvre begins, surrounding the medieval city. Late 14th century: Nearly half of Paris' population is annihilated by plague, also known as the Black Death, sweeping across Western Europe. Ironically, the plague would lead to labor shortages that were beneficial to peasants, and the eventual formation of the bourgeoisie, or mercantile class. 1449: Joan of Arc and French troops defeat the English at Orléans, ending nearly a decade of Norman English control over France. The English are eventually driven from France in 1453. Late 15th century: The Renaissance (literally, "rebirth") begins in Paris, turning the city into a flourishing center of art, science, and architecture. Technological advances lead to the city's sprawl. Late 16th century: Bloody religious conflicts between Protestants and Catholics led to the St. Bartholomew's Day massacre. Over 3000 Protestant Huguenots perish in the massacre. 1643: At age 5, Louis XIV, also known as the Sun King, becomes king of France. His reign introduces a period of major prosperity—not to mention decadence. The King builds Versailles in 1623, displacing the center of power from the Palais Royal in central Paris to the countryside. 1774: Louis XVI ascends to the throne. Known for his political and social ineptitude and his curious fixation with locks and clocks, he is married to Marie Antoinette, the adolescent daughter of powerful Austrian empress Maria Theresa. July 14, 1789: The Bastille prison in Paris is stormed and burned to a rubble, marking the beginning of the French Revolution. Louis XVI and Marie Antoinette are widely accused of rampant decadence and indifference to the plight of the people. 1792: Fall of the monarchy and declaration of the first French republic. In 1793, Louis XVI and Marie Antoinette are guillotined. 1793-1799: The Revolutionary "reign of terror" leads to thousands of executions and general chaos, and Paris is the center of it. Religion is banned and a new calendar is established. 1799: A revolutionary general named Napoleon Bonaparte stabilizes the unruly government. He becomes Emperor in 1804. His emperorship puts a hiatus on France's struggle toward a Republic—this is well-symbolized by Napoleon's moving into the former royal seat of power at Versailles. The Emperor's taste for power and conquest lead to the colonization of large swathes of North Africa. He is defeated at Waterloo in 1815. Mid-19th century: The Paris that still largely remains visible today is constructed by Baron Haussmann, under the direction of Emperor Napoleon III. Wide boulevards and a sewer system replace most of the narrow, cramped medieval and Renaissance-era streets of the city. 1870: Following a disastrous war with the Prussians, the third Republic is declared, marking the beginning of democratic institutions in France. The Belle Epoque opens, another artistically and culturally fertile time in Paris history. 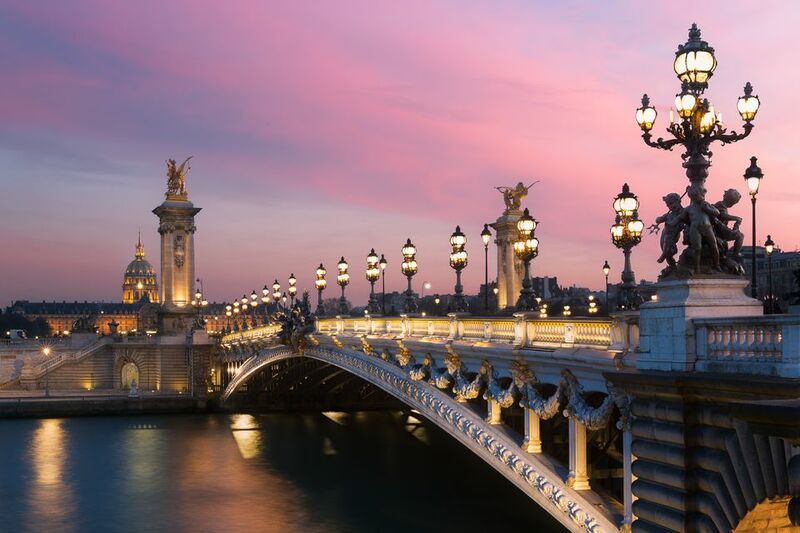 Art nouveau architecture and artistic movements like impressionism take the world by storm. 1920's and 1930's: Paris is one of the world's most important hotbeds of experimentation in art and literature. Salvador Dali, Pablo Picasso, and the "Lost Generation" of English-speaking writers like Ernest Hemingway, James Joyce, James Baldwin, Gertrude Stein, and Ezra Pound make Paris their home. 1940: Nazi Germany invades Paris and marches on the Champs-Elysées. A four-year occupation begins. General Charles de Gaulle flees to London and leads a resistance movement from abroad, sending messages to resistants over British radio. 1942: The collaborationist Paris government helps organize the massive deportation of French Jews to Nazi concentration camps, first assembling them at the Velodrome d'Hiver near the Eiffel Tower. 1944: Paris is liberated by Allied forces. The city narrowly escapes destruction by the Nazis when an officer refuses to obey Hitler's orders.